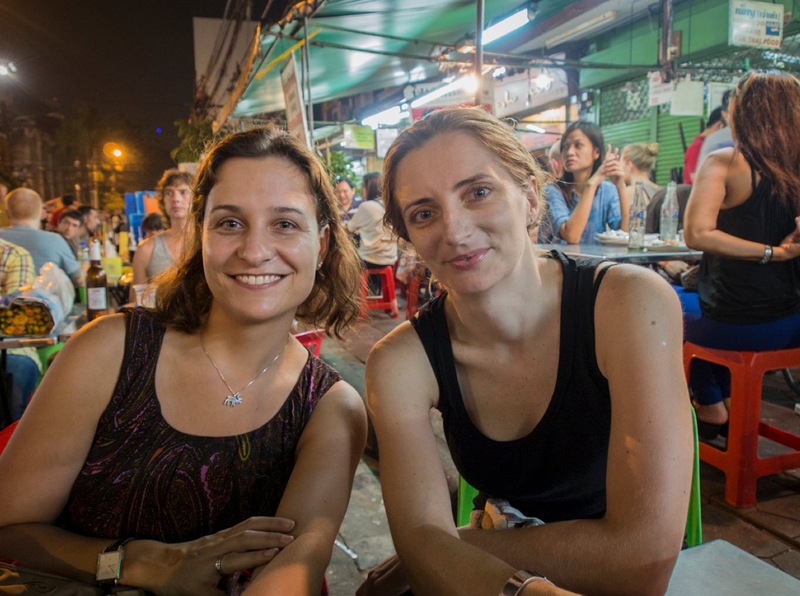 The popular book ‘The Beach’ famously described Khao San Road as the centre of the backpacking universe. Judging by the truth-seeking travellers who converge here to shop, exchange tales and prepare for their next stint on the backpacker trail, it’s a phrase that sums it up pretty much perfectly. We did no stay in the budget guesthouses or midrange hotels in the area, but we did enjoy walking around the swanky bars and clubs, restaurants, massage parlours, travel agents, bookshops, market stalls, tattoo shops and much, much more. 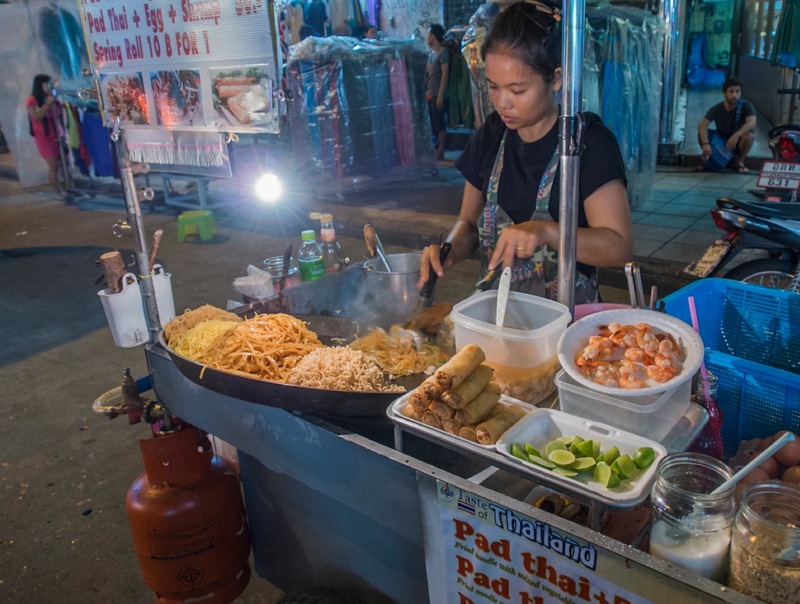 There are lots of food stalls everywhere, selling fresh Pad Thai! It is an interesting area – lots of travellers, young hipsters and art students, and a carefree, anything-goes vibe. 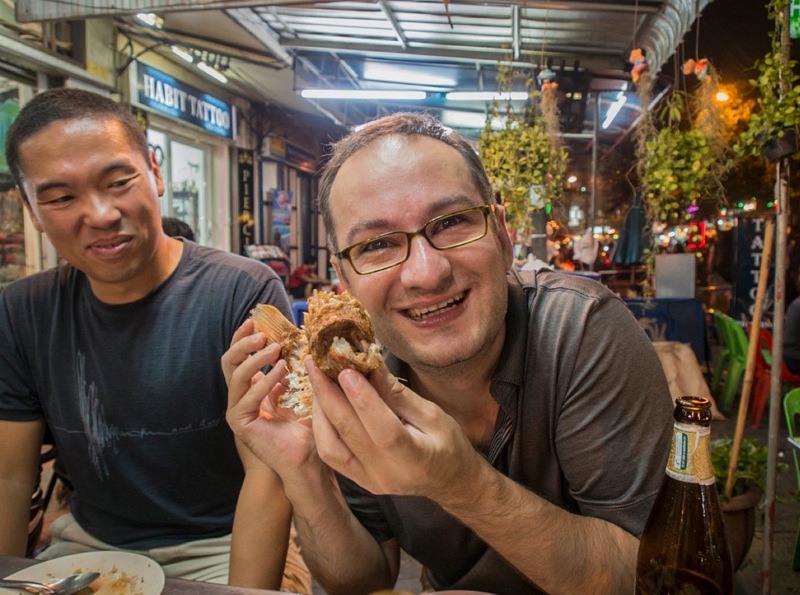 It’s quite unlike anywhere else in Bangkok. 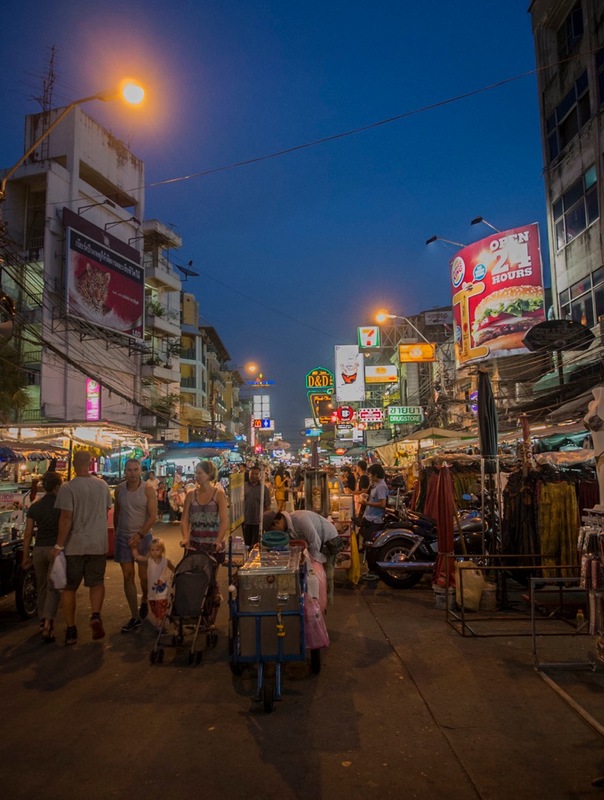 We enjoyed walking through Khao San Road, but then decided to head over to Soi Rambuttri, which runs parallel to Khao San, but despite being located so close by these two streets are different worlds. Rambuttri is Khao San’s more attractive, well behaved brother. It has nicer bars and restaurants and we found an amazing seafood place with a tiny kitchen on the street. 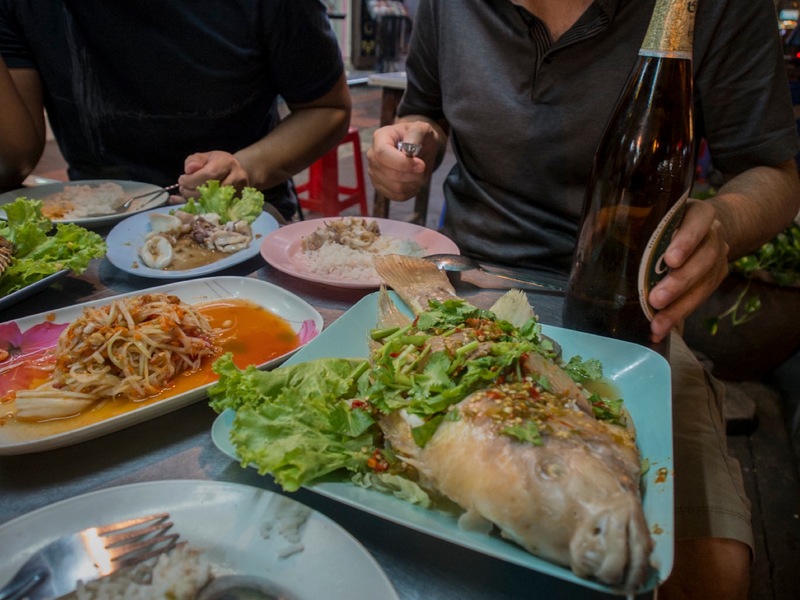 We had lots of papaya salad, grilled squid, fried fish and steamed fish – we kept ordering more and more. The food was so fresh and delicious and very affordable. I wish I could remember the name of the restaurant, but I doubt there was an official name or even address – it was a few tables and chairs on the street and a tiny kitchen with two gas burners.